The bottled water industry is big business. It's a multi-billion dollar industry that shows no signs of slowing down. As bottled water consumption soars, the industry is poised to meet the need, yet environmental and quality concerns abound. Bottled water was once a luxury, but it's now a modern convenience, and people carry plastic bottles of water everywhere. There are water vending machines next to those selling soft drinks, and you can purchase water bottles at most restaurants and events. According to an article by John G. Rowdan, Jr., editorial director at Beverage Marketing Corporation, "the U.S. bottled water market reached new heights in 2013" after volume reached 10 billion gallons. Wholesale dollar sales were almost 12.3 billion. Statistics show the bottled water industry has experienced a steady increase in sales since a brief decline in the late 2000's. U.S. bottled water consumption rose from 21.6 gallons per person in 2003 to 32 gallons per person in 2013. Domestic non-sparkling water was responsible for 96 percent of water consumption in 2013. Bottled water has reached almost every corner of the world including Western Europe, Mexico, and Asia. In 2013, China surpassed the United States in bottled water volume sales yet Mexico led in consumption at 67.4 gallons per person. Worldwide bottled water consumption is estimated at 70.4 billion gallons. Four companies control much of the market -- Nestle, Danone, Coca-Cola, and PepsiCo -- although local brands also have influence. Plastic packaging is preferred in most countries. Despite its growth, bottled water accounts for less than 0.1 percent of water used in the U.S., according to the International Bottled Water Association (IBWA). Spring water comes from an underground spring and must "be of the same composition and quality as the water that flows naturally to the surface of the earth." Purified water is created by reverse osmosis, distillation, or deionization. It must meet the standards for purified water developed by United States Pharmacopeia (USP). Some people claim most bottled water is simply re-packaged tap water; however, IBWA disputes this. Though the water may come from a municipal water source, it must undergo treatment to meet stringent USP requirements. If water is taken from a municipal water source and bottled without further treatment, the FDA requires labeling which states it is "from a municipal source." Mineral water is natural water that contains minerals. It may be naturally effervescent. Sparkling water is effervescent and, after treatment, contains carbon monoxide in the same amounts it did at its source. Artesian water comes from a well that taps into a confined aquifer where the water level is above the aquifer. Well-water is obtained through a hole in the ground which taps into a water aquifer. You can purchase bottled water in several sizes, individually, in small packs or in bulk. It's also available in large water cooler containers for home or office use. Bottled water is regulated as food by the Food and Drug Administration (FDA). They've established regulations and programs to make sure the bottled water industry provides water safe for consumption. "Good Manufacturing Practice Regulations" include protecting the water source, sanitation, quality controls to ensure chemical and biological safety of the water, and labeling requirements. "Standard of Identity Regulations" define the six types of bottles water and ensure accurate labeling. "Standard of Quality Regulations" determine allowable contaminant levels. FDA inspection programs are used to monitor and inspect processing facilities and products. Periodic sampling and testing is done to check for contaminants and verify quality. The IBWA created a Bottled Water Code of Practice, standards that supports industry self-regulation. The code must be adhered to by all IBWA members. There is no shortage of environmental groups calling foul for the bottled industry's impact on the environment. The industry attempts to address concerns brought by those groups. For example, according to its founder Ryan Emmons, Waiākea water's mission is to "provide naturally healthy, delicious Hawaiian volcanic water with as little impact as possible." Emmons said Waiākea strives to promote clean water access to people all over the world in a sustainable and ethical way. One concern is the billions of water bottles containing PET plastic being added to landfills or carelessly discarded, and the carbon footprint water bottle production leaves behind. However, the IBWA counters those beliefs. They report that, when compared to many other beverages, bottled water comes out on top. The IBWA's water and energy use benchmarking study found that bottled water has lower water usage and fixed energy ratios than packaged beverages such as soft drinks and beer. Regarding whether the bottled water industry can do more to reduce its carbon footprint, Emmons said, "we can do so much more, and not just the water or beverage industry, but the entire CPG [consumer packaged goods] industry." Emmons practices what he preaches. Waiākea uses 100 percent RPET packaging, a greener option than traditional PVC plastic packaging. In addition, Emmons believes focus should be on "transitioning to renewable energy for manufacturing, low-emission shipping, sustainable sourcing, resource conservation, and reforestation." Waiākea practices each of these initiatives, earning them a CarbonNetural certification. The IBWA addresses water bottle pollution concerns by reminding people that water bottles are 100 percent recyclable and the most recycled plastic in the United States. Large water bottles are often sanitized and re-used. The IBWA suggests the problem lies not with water bottles per se, but with a lack of recycling and recycling education programs. They state that even when convenience-sized water bottles are not recycled, they are responsible for a tiny amount of U.S.-produced waste (less than 0.03 percent in 2005). The Container Recycling Institute's asserts that 899 tons of PET plastic bottles were recycled in 2013. Even with this astronomical number, they claim twice as much PET was wasted. Despite the belief that PET is "greener" than other packaging options due to its ability to be recycled multiple times, water bottle pollution will continue to be an environmental issue until more people consistently recycle. Some national parks have banned disposable bottled water to reduce waste and protect wildlife. Grand Canyon National Park stopped the sale of disposable water bottles and provides water bottle filling stations in high-traffic areas. The ban isn't moving forward without a fight. According to National Parks Traveler report, some people in Congress, with the support of the bottled water industry, moved to overturn the ban. Congress pulled the amendment for now, but grass roots movements aren't backing down. They continue to encourage people to sign petitions to encourage lawmakers to support the ban. Emmons understands the efforts to eliminate plastic waste in national parks and supports "robust recycling programs." However, he feels there shouldn't be a double standard for other bottled plastic beverages such as soda. Emmons said, "Realistically, I'm fine with [banning disposable bottled water in parks], and understand where they're coming from, but only if they have bans on all other beverages as well, which have higher carbon and waste footprints." There are pros and cons to almost everything and bottled water is no exception. One of the most appealing aspects of bottled water is convenience. No longer do you have to wander on a scorching day searching for a water fountain. Water bottles can be purchased almost anywhere and anytime. They are portable and easy to carry. Bottled water is sanitary and safe to drink. This makes it a great option when safe tap water isn't available such as after a storm or other disaster. In fact, the FDA recommends drinking bottled water while traveling in developing countries. Some people turn to bottled water because they dislike the taste or odor of tap water. Besides environmental issues, many people cite cost as being a major con of bottled water. While it's true that some brands of water are more expensive than others, according to the IBWA the average wholesale cost of a gallon of bottled water in 2013 was $1.21. If you and your family drink several bottles a day, the costs add up, depending on the brand you buy. Consumers are more health conscious than ever. Sodas and sugar-laden beverages are losing ground while water is gaining. According to Beverage Marketing Corporation, bottled water is expected to be the most popular packaged beverage by 2016. 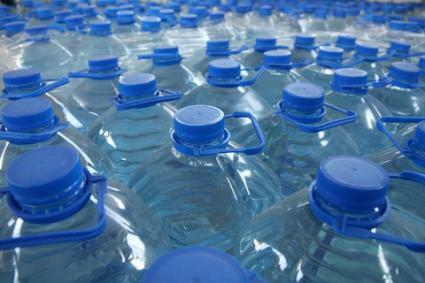 The global bottled water market is expected to reach $195 billion by 2018. Emmons agrees the odds the bottle water industry's growth will stagnate are slim. He believes there is an international movement away from sugary beverages such as soda towards healthier options such as plain bottled water, sparkling water, and flavored water. In addition, the target market is evolving and brands are stepping up to meet changing demands. Despite the bottled water industry being dominated by a handful of corporations, Emmons feels smaller brands can find their niche. "The reality is it is up to you as a beverage founder to differentiate your product enough where you aren't worried about price wars with these big players and can justify your price premium," he said. As the bottled water industry continues to grow, so does its responsibility to offer high-quality products safe for consumption that are as environmentally friendly as possible. Since consumers demand bottled water, they share in the responsibility to help ensure plastic bottles don't pollute the environment.